day 211 and i am looking to start the year with some slimmer recipes to continue slimming down ... christmas is over and the holidays are fast coming to an end so it looks like it might be time to get back on the weight reducing horse! 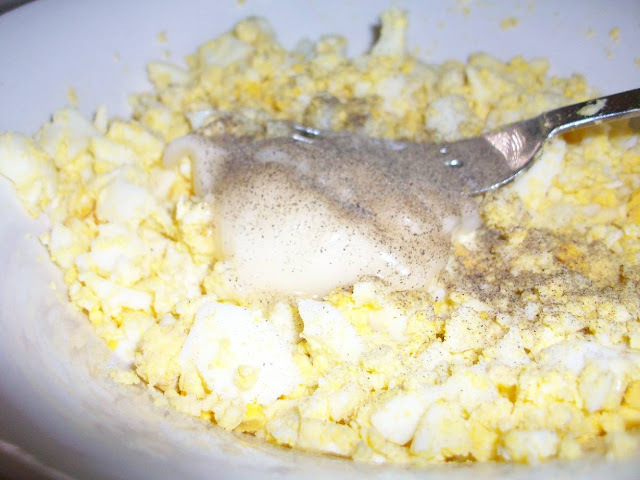 i figured this egg salad would be the perfect way to ease back into healthy food ... looks delicious and nothing like rabbit food ... teehee! 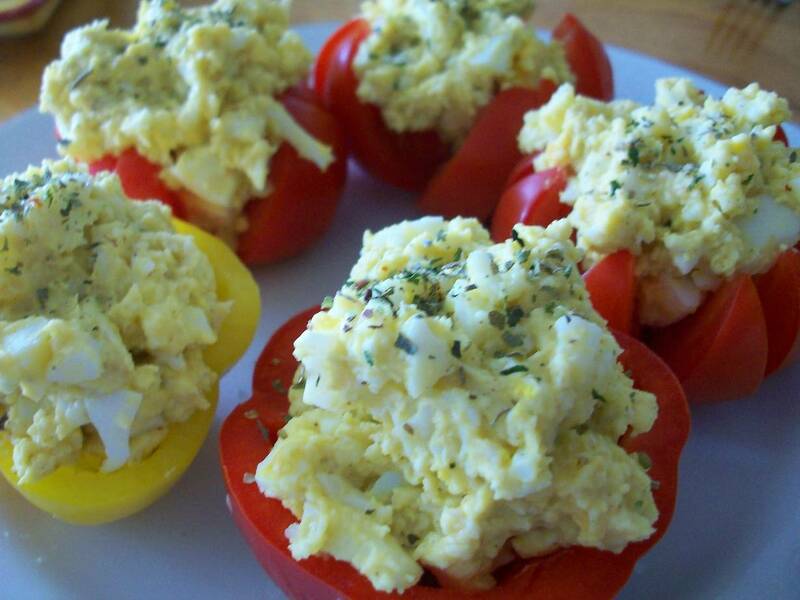 the egg salad is from the yummy life website and is pinned to my weight watchers recipes happy days board on pinterest. i started off with every intention of following this recipe as per the instructions. unfortunately i had a male look in the fridge and thought i saw plain yoghurt ... it was actually vanilla bean :( don't get me wrong, i LOVE vanilla bean yoghurt just not in an egg salad. i had already boiled and peeled the eggs when i went to retrieve the not so plain yoghurt, so thought i would wing it instead. 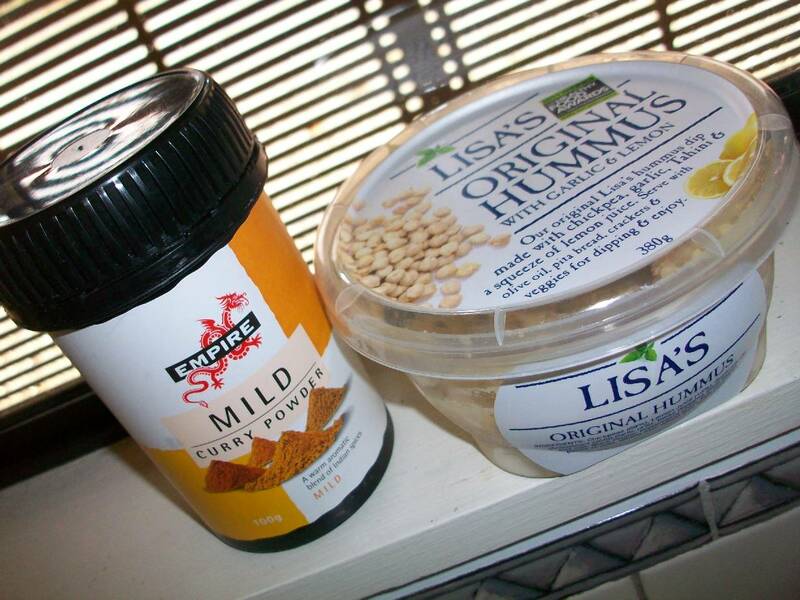 enter curry powder and hummus! i added 1/2 a teaspoon of curry powder to the eggs and three heaped tablespoons of hummus as well. i also added the salt, pepper, and one tablespoon of mayo that was in the original recipe. 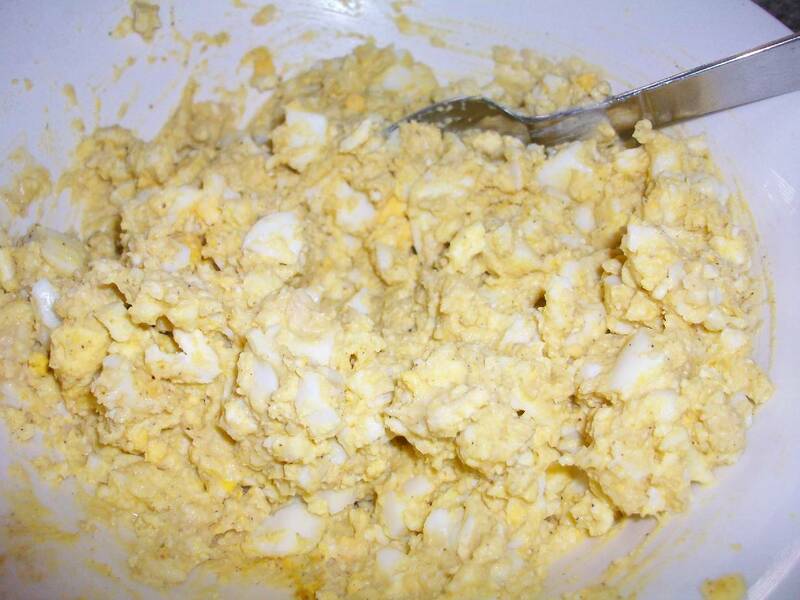 the finished egg salad with it's two extra ingredients! 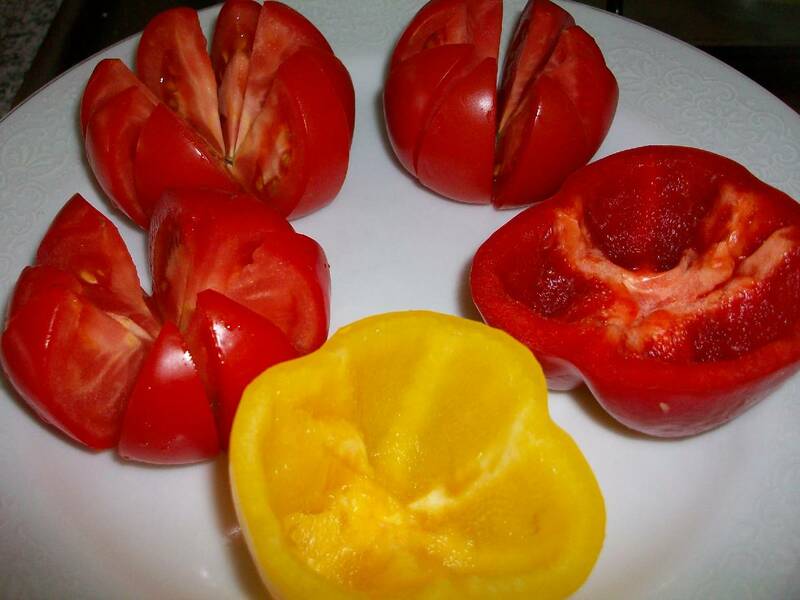 the recipe then suggests serving it in a variety of ways, i went with the tomato basket option for three of my family members. and for the other two peeps (who are less keen on tomato) i made pepper baskets to serve their egg salad. outcome: this was delicious! 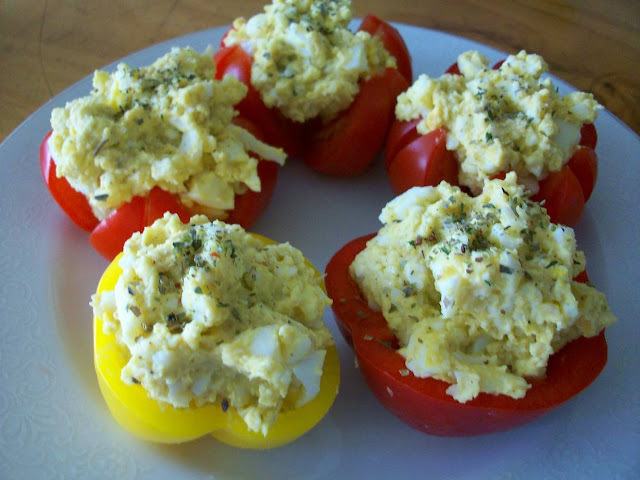 really, who knew hummus would make an egg salad so yummy! we all loved our little egg nests, and while the outcome wasn't quite what i had planned at the start of the day, it did not disappoint, and i even felt a little proud of my concoction! 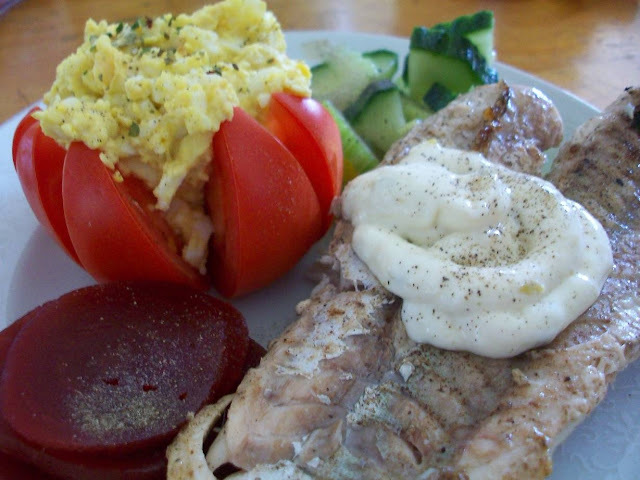 my thanks to the yummy life, i apologise whole heartedly for butchering your very delicious looking recipe and while mine was a triumph i am very keen to give the original recipe a go in the near future. Hummus makes everything better! It's like butter. ;) That fish looks delicious. Brilliant save! I'm impressed. I'd probably have had a temper tantrum and given it to the dogs. :). Looks super yummy though and I may try both versions! Oh yum! I will have to try that egg salad! TFS!